SBV Governor, Le Minh Hung, made the statement as part of Decision No 1355/QD-NHNN, dated June 28, while issuing a directive to kick-start an action plan to support the domestic business environment and national competitiveness with a vision towards 2020. The decision said banking services must be improved in terms of availability and transparency, so that enterprises and inpiduals from every economic sector have equal access to bank loans. Procedures must be simplified and costs must be cut for transactions between credit institutions and their customers, it said. To enhance national credit ratings, Hung said the SBV would operate monetary policies flexibly in tight conjunction with fiscal and other macro-economic policies. This will help control inflation, stabilise the economy and ensure the operational security of credit institutions, besides supporting national foreign reserves and facilitating production and business activities. The central bank will also closely monitor developments in the gold and foreign exchange markets and intensify co-ordination with the relevant agencies to guarantee financial stability. 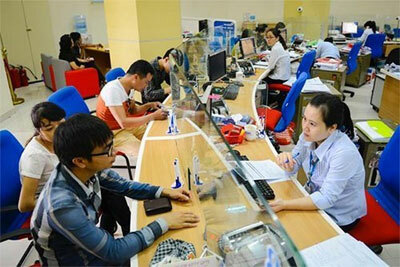 For improved availability of banking services, Hung said the banking sector would continue to complete the legal framework for payment activities, upgrade the infrastructure and technology and enhance the efficiency of inter-bank payment networks. 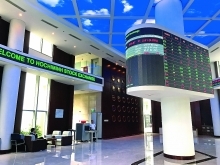 Banking authorities will create regulations for commercial banks to provide derivatives, reducing the risk for enterprises using the banks’ products. They will encourage more cooperation with international financial organisations to help low-income inpiduals and small- and medium-sized enterprises (SMEs) acquire loans more easily. Local credit institutions must strengthen their financial capacity and renew their management methods to meet Basel II, a set of international banking regulations set forth by the Basel Committee on Banking Supervision. Banking authorities are expected to promptly design a plan for the continuing re-organisation of credit institutions between now and 2020 to create a future banking system with multiple functions, secure operations and sustained efficiency. They were also urged to build schemes to develop a system of credit funds and complete a legal framework for the development of micro-finance institutions. They must work to gradually form a market for debt trading, helping maintain national bad debt ratios at below 3 percent of the overall outstanding loans. Hung asked credit institutions to continue to extend loans in prioritised areas, including agriculture and rural development, exports, support industries and SMEs, as well as start-ups and hi-tech businesses. Programmes connecting banks and businesses and measures supporting struggling firms are to be promoted, he said./.